Commercial (former school) site extends to approx 0. 72 acres. Main building. Annexe building. Price around £440,000 Entry by arr. Viewing Aberdeenshire Council 01224 664255. (EPC band - G). Location: The property is situated on North Deeside Road, A93, within the small settlement of Park. Aberdeen city centre lies some 12 miles to the east of Park with Banchory 6 miles to the west. The subject site is located on the northern periphery of Drumoak, to the east of Sunnyside Drive. 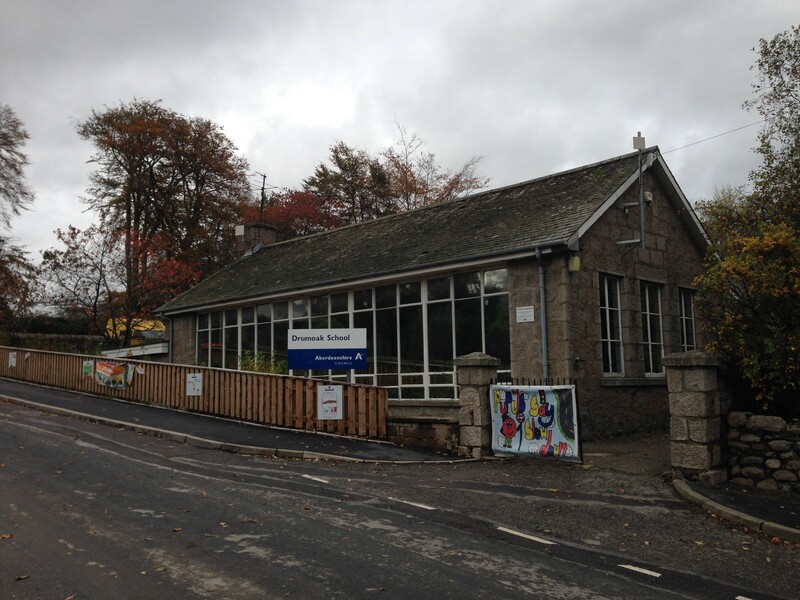 The subject property comprises of Drumoak Primary School, which lies on a site extending to approximately 0.29 hectares (0.72 acres) The original part of the school dates from the Victorian period, however, it is not Listed. There exist several extensions to the original structure. At the rear of the school lies the school playground (which is surfaced in hardstanding). To the north of the school there is a tarmacadam car park. Accommodation: The main school building comprise several classrooms, store rooms with common areas and convenience facility in the ancillary areas. The foregoing measurements have been calculated as Gross Internal Area (GIA), in accordance with the RICS Code of Measuring Practice (6th Edition). The subject is on ground extending to 0.29 hectares (0.72 acres). Services: We understand the property is served with mains water and electricity. However, interested parties should satisfy themselves regarding the detailed location and capacity of services. Council Tax Banding / Rating Information: The subjects are currently entered in the Valuation Roll as a School with a rateable value of £19,000 per annum. VAT: The sale price quoted are exclusive of VAT. LBBT: The purchasers will be liable for any applicable LBTT and registrations due.